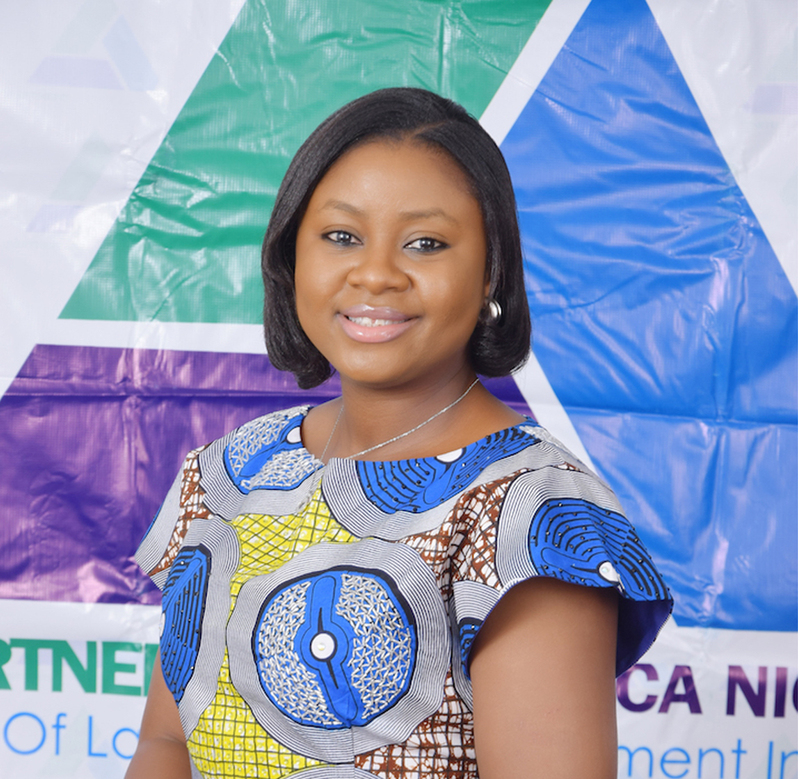 Valkamiya Mary Ahmadu, Program Manager/Consultant, Partners West Africa–Nigeria: Rule of Law and Empowerment Initiative is experienced in NGO management and security and governance intervention. In 2010, she worked with the Geneva Centre for Democratic Control of Armed Forces (DCAF) for Gender Survey of Security Sector Reforms of Institutions in ECOWAS Countries. From 2011, she worked as Coordinator (Project Officer) for 2011 General Election Media Monitoring Centre under the umbrella of United Nations Development Programme for North-Central Zone, Nigeria. Within the period of 2013 – 2015, she was the Senior Programme Officer on Public Safety and Security for CLEEN Foundation Abuja. She provided expertise on the development of Course Module on Terrorism for Kofi Annan International Peacekeeping Training Centre (KAIPTC) Accra- Ghana and participated in the Phase II workshop on Mainstreaming Gender in Conflict Resolution & Peace-building organized by the Institute of Peace and Conflict Resolution in collaboration with United Nations Development Programme in Kaduna State- Nigeria. Valkamiya has made severalpresentations within and outside the country on different platforms. In 2014, she was at the Expert Workshop on Reintegration and Aftercare programmes for Violent Extremist offenders in Istanbul-Turkey, to discuss “the different actors involved in reintegration and aftercare Part III: the role of civil society, religious scholars and NGOs”. She made another presentation in Accra, Ghana, within the same year, at the AFRICOM Academic Symposium Panel on “Security as Public Service Delivery with the theme: “Leveraging on the effective ways of Non State Security Actors to achieve national results”. She has facilitated sessions on “Civil-Military Operations (Non State Security Actors in Nigeria)” at the Nigeria Defence Academy Jaji, in collaboration with the Joint Special Operations University Tampa, Florida. She was a panelist and presenter at the George C. Marshall Centre for the Senior Executive Seminar on “Al-Qaeda in Africa-Boko Haram – Threats and Responses” in Munich, Germany. She also facilitated at a workshop organized by the African Peace and Security Studies, Institute for Security Studies on Youth Radicalization, Extremism and Human Security, Lagos, Nigeria in 2014. Fondly called Val by friends and colleagues, Valkamiya attended Covenant University, Ota, Ogun State, Nigeria, where she obtained Bachelor of Science (BSc.) degree in International Relations. She also has a Masters of Arts (MA) degree in International Security and Terrorism from University of Nottingham, University Park, United Kingdom.